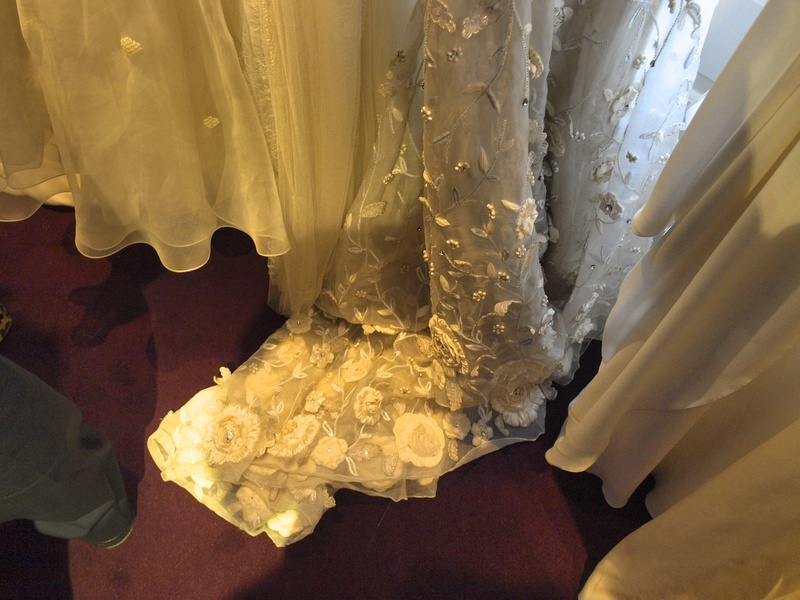 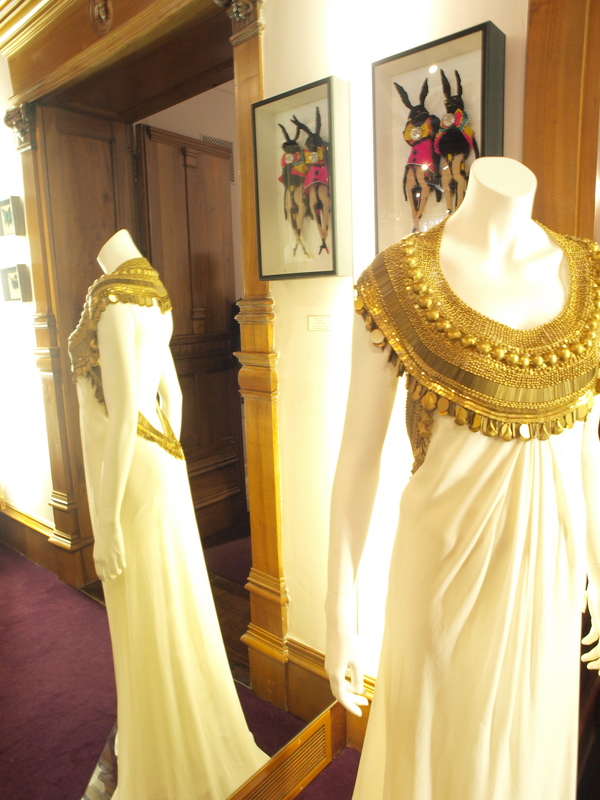 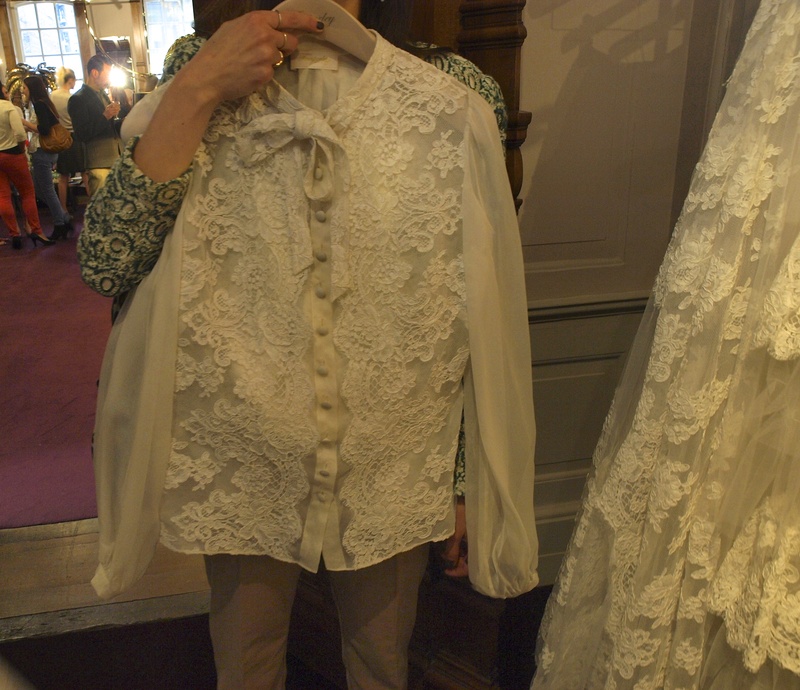 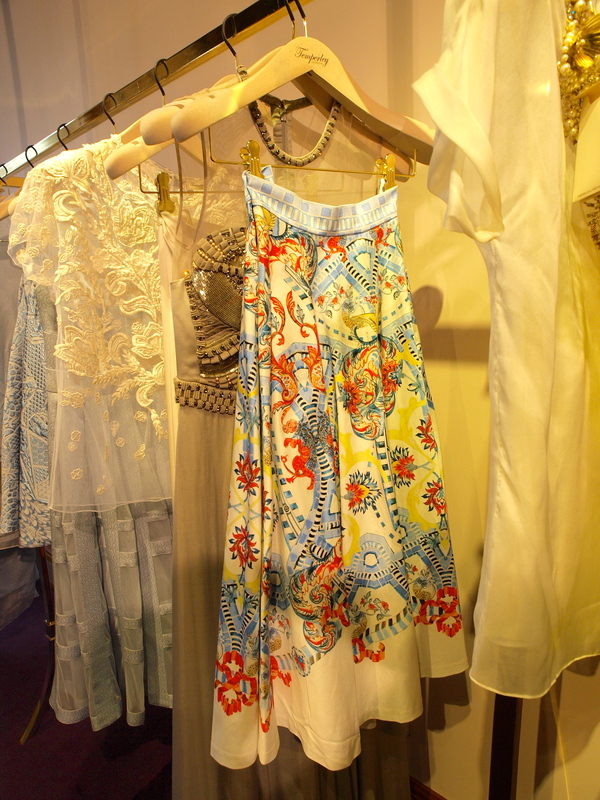 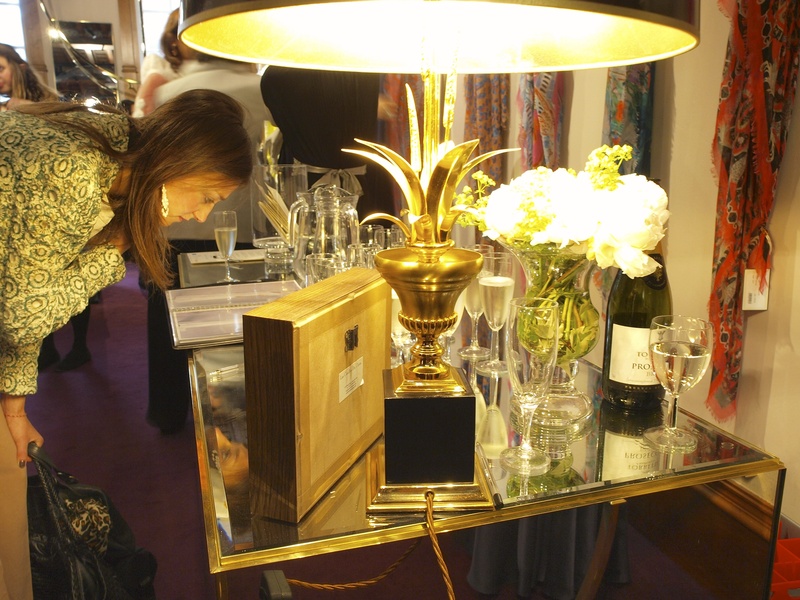 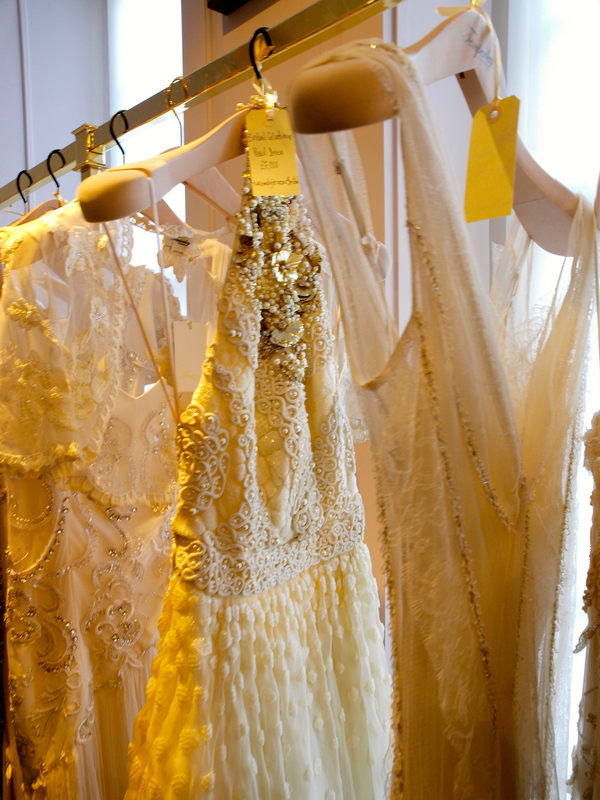 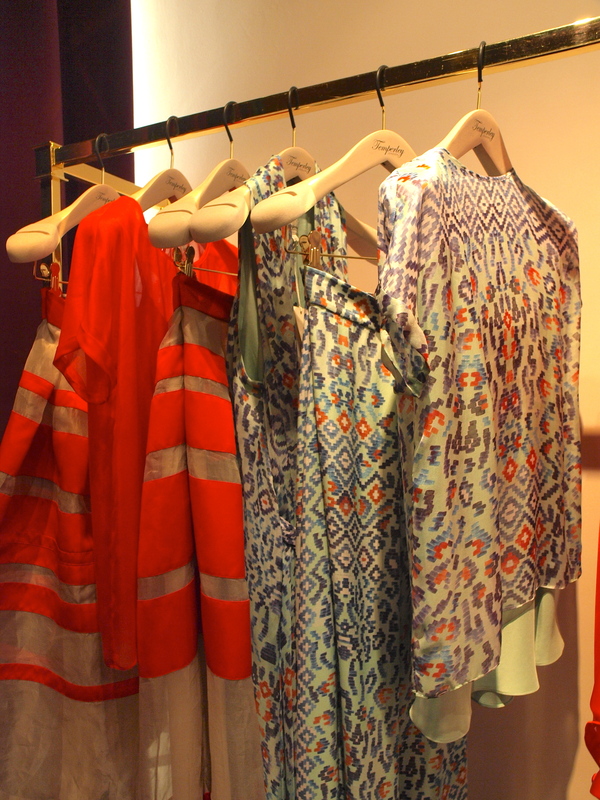 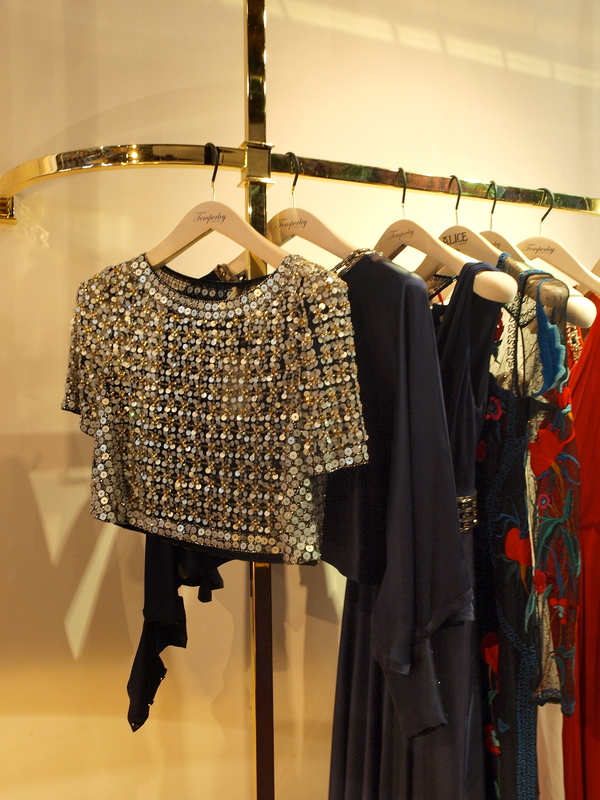 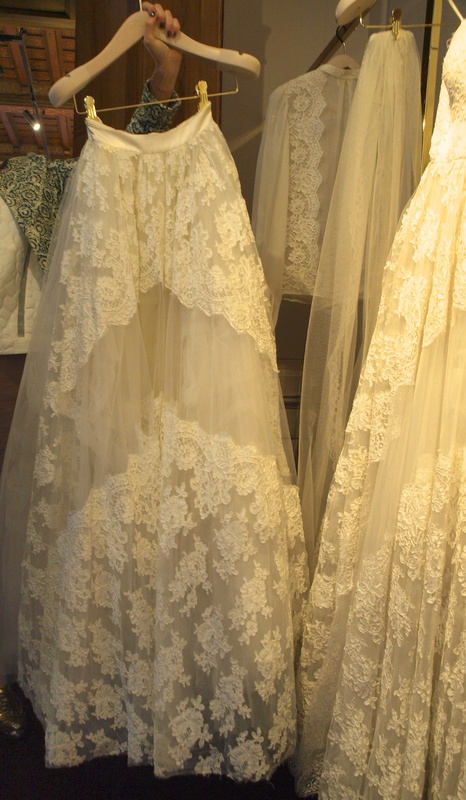 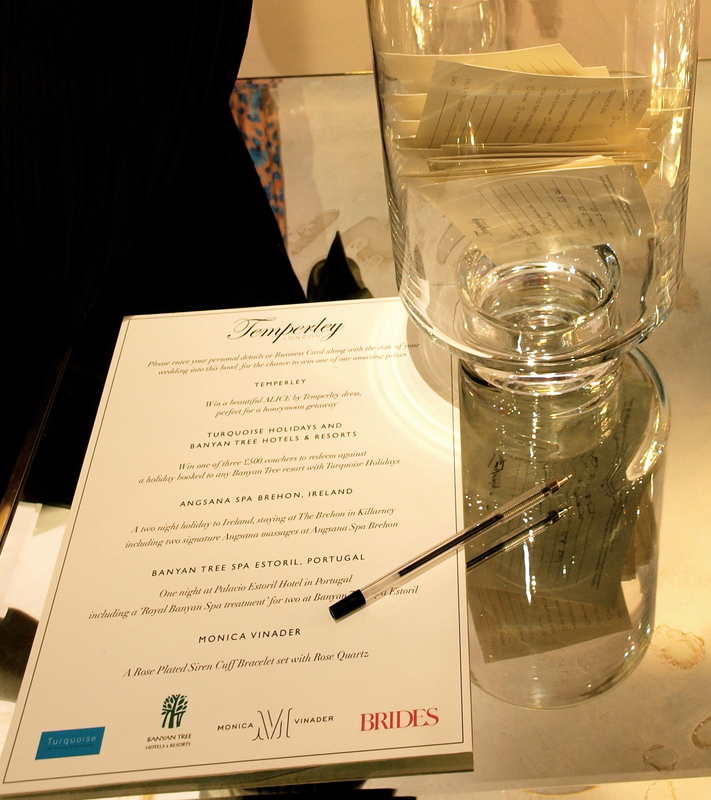 Home › designers › At Temperley London with Condé Nast Brides! 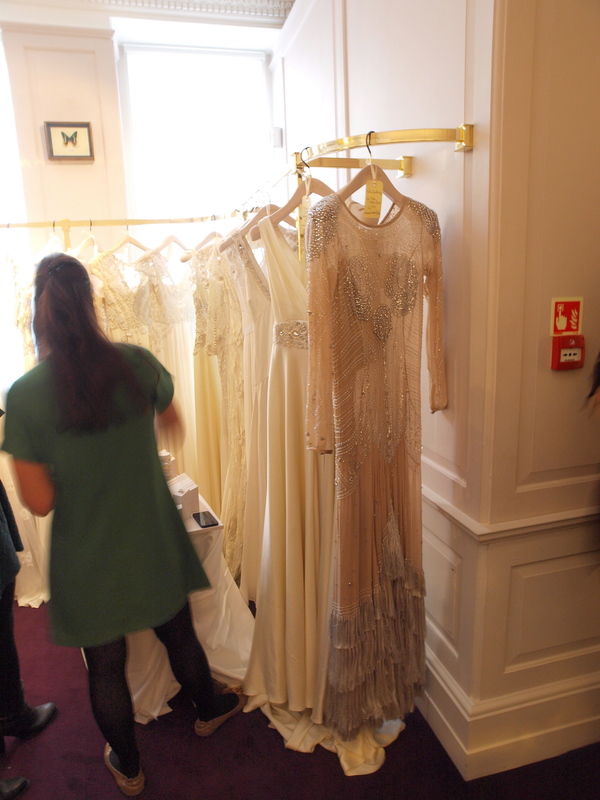 At Temperley London with Condé Nast Brides! 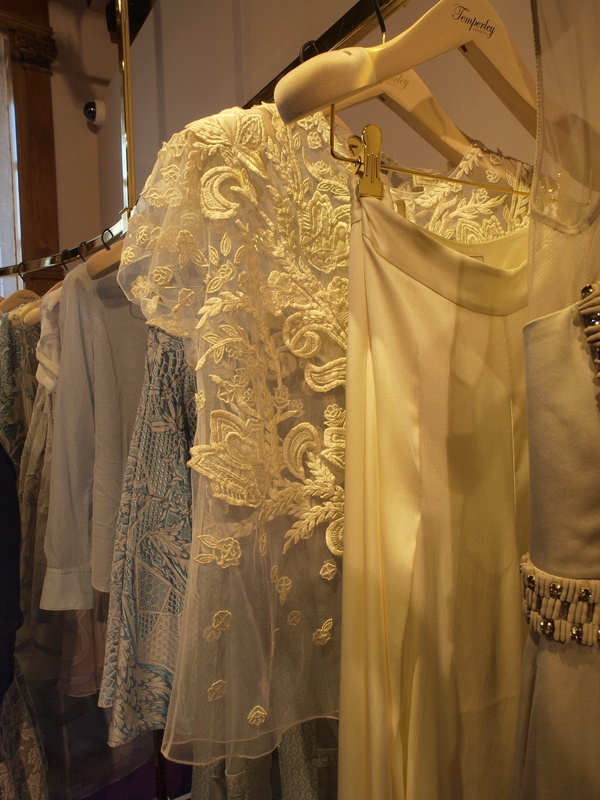 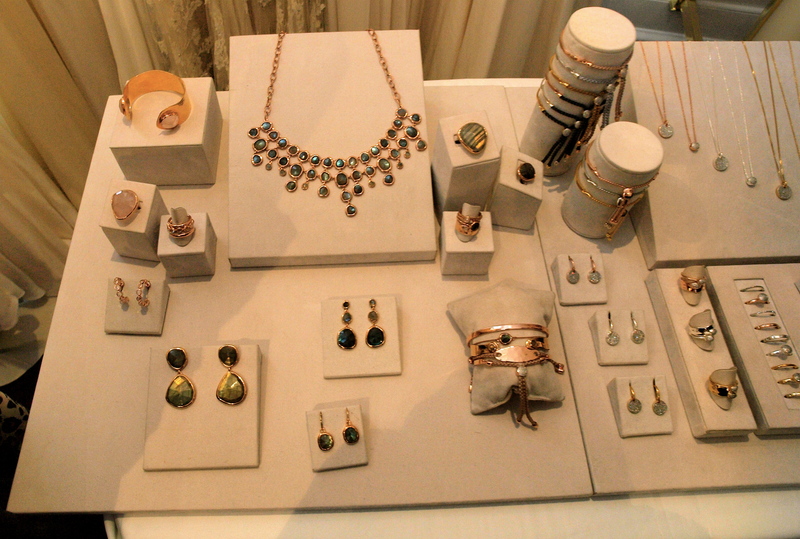 Yesterday evening I attended with Marina The Exclusive Condé Nast Brides Reader Event, in association with jewellery brand Monica Vinader, Banyan Tree Hotels & Resorts and The Turquoise Holiday Company, at the Temperley London new flagship store in Mayfair. 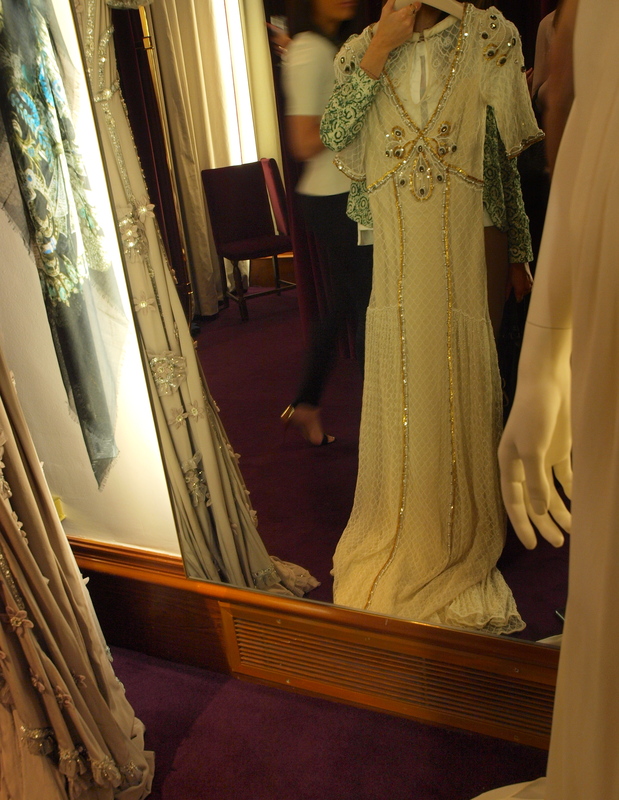 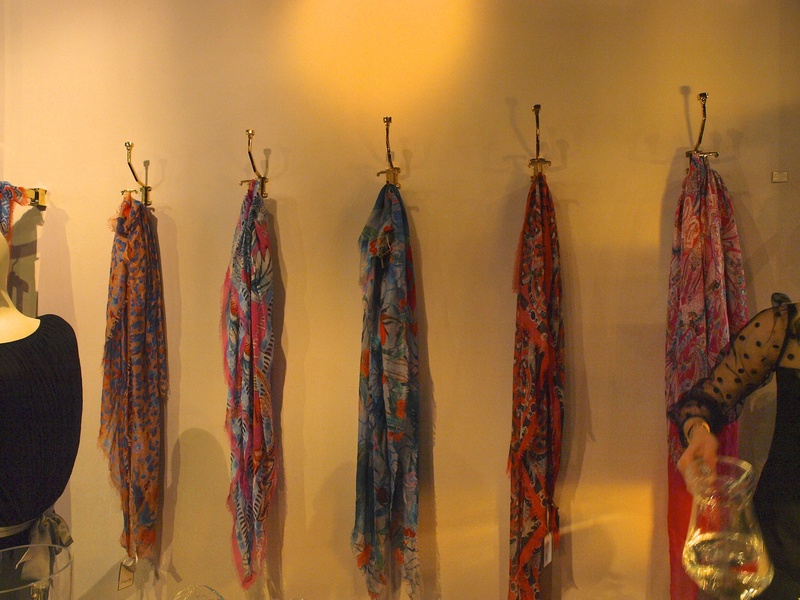 So, let me explain myself..Firstly, I was invited by Temperley and I love Temperley! 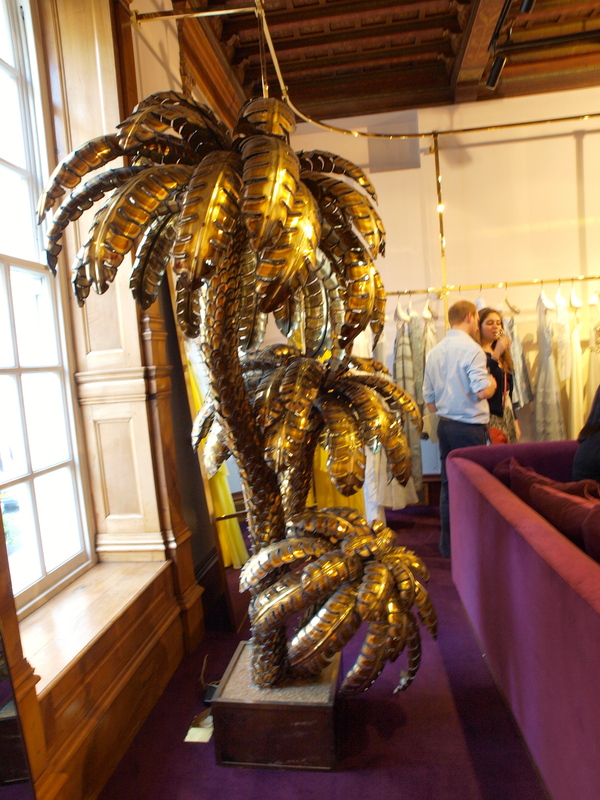 The Pre-Fall 2013 collection “Constance” has just launched and I wouldn’t miss a London town-with-Marina Thursday evening, full of bubbles, rainbow macaroons, girls being hair, nails and makeup pampered by the experts and of course the chance to walk around palm trees, wearing a veil and some boa feathers.